I’ve updated the Disabled Choice Conditions plugin to improve efficiency, compatibility, and most importantly, more flexibility and ease-of-use when it comes to disabling choices. 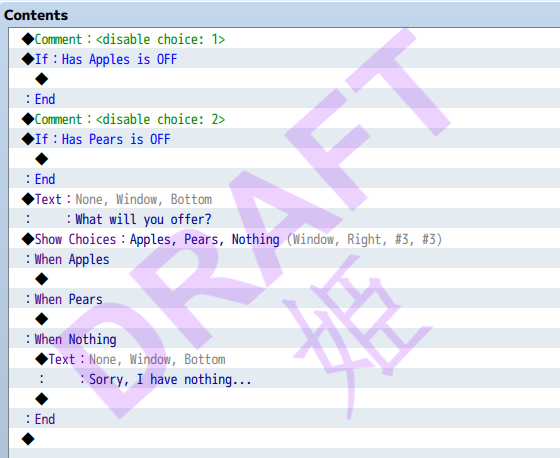 Rather than doing all this, I’ve changed it so that the plugin command itself will disable a choice, and the conditional branches are up to you to figure out how to use it. 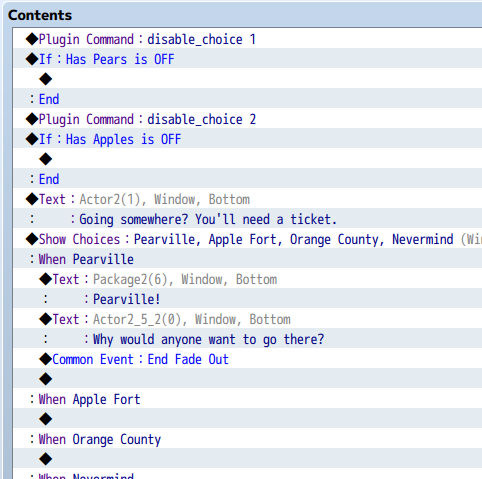 This is just normal eventing, except you’re using a plugin command to disable a choice. 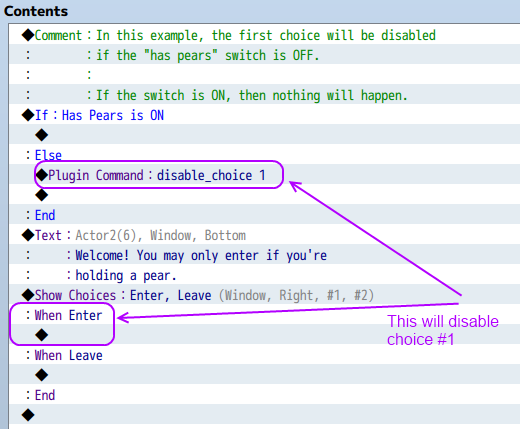 Now, when you say “disable_choice”, you are actually disabling a choice. Not, telling the engine that you want to disable a choice, and that conditional branch under it is the condition to use. Unfortunately, if you have been using the conditional branch method, you will need to change where the plugin command is placed. But beyond that, that’s about the only change that needs to be made! For those that are using script calls, nothing has changed: you can just use the script call as usual.